Uses technology, knowledge and passion to empower Canadians with disabilities. The Neil Squire Society uses technology, knowledge and passion to empower Canadians with disabilities. They are the only national not-for-profit organization in Canada that has for over thirty years empowered Canadians with disabilities through the use of computer-based assistive technologies, research and development, and various employment programs. Through their work, they help people with disabilities remove barriers so that they can live independent lives and become active members of the workplace and our society. Specializing in education and workplace empowerment, the Society has served over 35,000 people since 1984. The Neil Squire Society’s headquarters are in Burnaby, British Columbia with research and development labs in both Burnaby and Vancouver, British Columbia. Regional offices are located in Regina, Saskatchewan; Ottawa, Ontario; and Fredericton and Moncton, New Brunswick. This unique, comprehensive and participant centered program is designed to develop the skills required to help individuals achieve their employment goals. 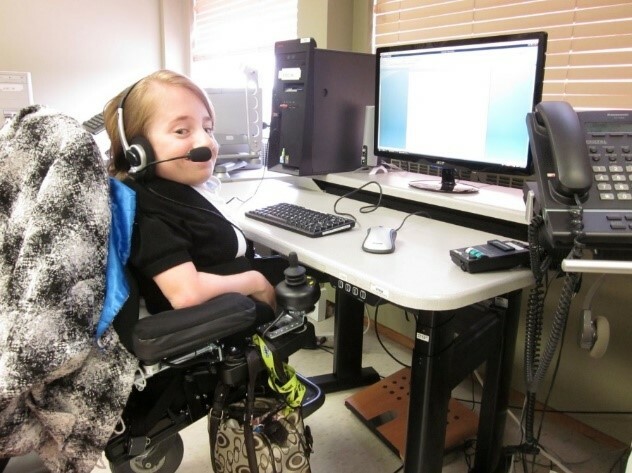 Assistive Technology Services provides equipment and devices to help individuals thrive in the workplace. Click here to be directed to their website for information and contacts. Visit the Neil Squire Society website for more information.